Disney have produced many great and glorious films over the years. Unless you’ve been living under a rock, you’ll have heard of Toy Story, Aladdin, Beauty and the Beast, The Little Mermaid, and of course the classics like Sleeping Beauty, Cinderella, Robin Hood and Peter Pan. With a young daughter, you become very familiar with these films! As a kid my earliest Disney memories are of Dumbo (a wonderfully sweet film) and Peter Pan (one of my dad’s favourites). I can honestly say I’ve enjoyed nearly every Disney film I’ve watched – not all of them, but a sizable majority. One film in particular stands out for me. 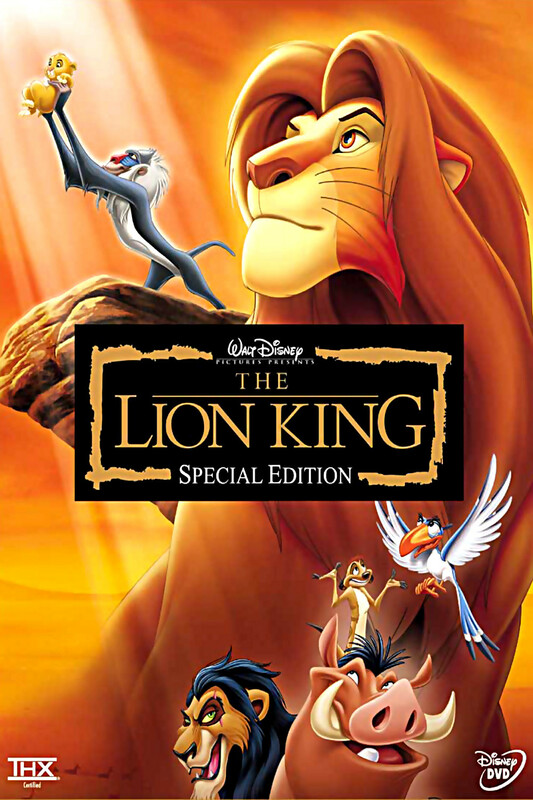 The Lion King (first released in 1994) is the third-highest grossing animated film of all time, and the highest grossing traditionally animated film. More than that, it is, in this meerkat’s humble opinion, a masterpiece of animation and a deeply emotional journey. The core of this film is about finding one’s self, and entwined with this is the bond between a father and son. It’s no surprise that The Lion King has drawn comparisons to Hamlet – there are certainly parallels! What a lot of people don’t realise is that The Lion King underwent a somewhat difficult genesis and was not regarded by Disney as a surefire hit – in fact, most animators at the time wanted to work on Pocahontas (which was seen as a more likely success story). 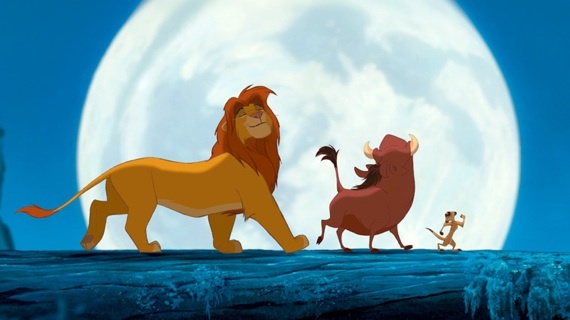 Not only would The Lion King prove to be a hit, as mentioned, it would become one of the all-time success stories of animation, and has slotted in nicely to what has come to be known as the ‘Disney Renaissance’ period. My own personal thoughts regarding The Lion King are that nothing beats it. Nothing. I recall seeing the original trailer (can’t remember what we were seeing at the cinema, but the trailer still stands out), which was nothing more than the opening Circle of Life song – and that was enough to convince me it was going to be an epic film. I actually didn’t get to see the film at the cinema. My first experience of it was via a dodgy VHS copy – but I loved it. I loved the sweeping soundtrack, with it’s fusion of western and African sounds – I loved the songs (especially ‘I just can’t wait to be King’ and ‘Hakuna Matata’), but most of all, I loved the story. Simba’s journey from innocent cub, to guilt-leaden young lion, to redemption, is a lovely story, accompanied by some unique characters (such as Timon the meerkat, it will come as no surprise to learn he’s a favourite of mine!) and a martial arts-trained baboon. 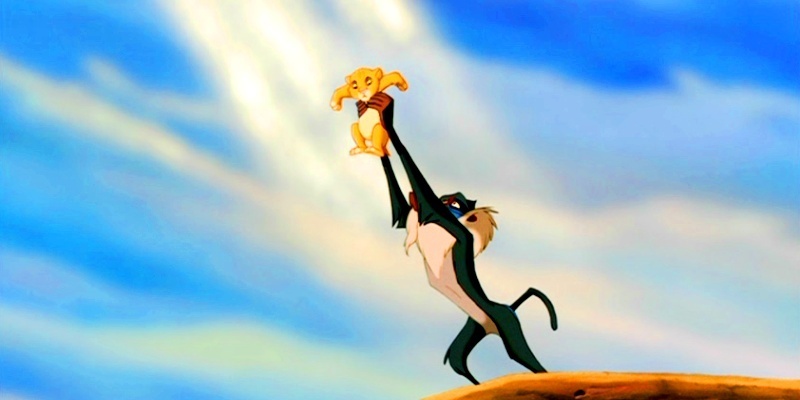 It’s hard for me to put into word precisely what The Lion King means to me. To say it makes my heart swell with emotion every time I watch it would be an understatement. It hits all the right notes and it is my all-time favourite film. Such is the success of the film that it has spawned two sequels (both direct-to-video, but both made with care and far from the usual poor sequel fare) and a long-running musical, which I have had the pleasure of seeing (it’s as good as the film).